In 2014/15, an agreement with the University of Toronto Libraries (UTL) was established to provide interested Ryerson graduate students with a Robarts Library stack access card. With this card, graduate students could access the Robarts closed stacks on floors 9-13 for browsing purposes only, but not borrow materials directly. After the initial year, the agreement was extended into the 2015/16 academic year. Statistics on usage have been collected since the agreement began, and are provided below. 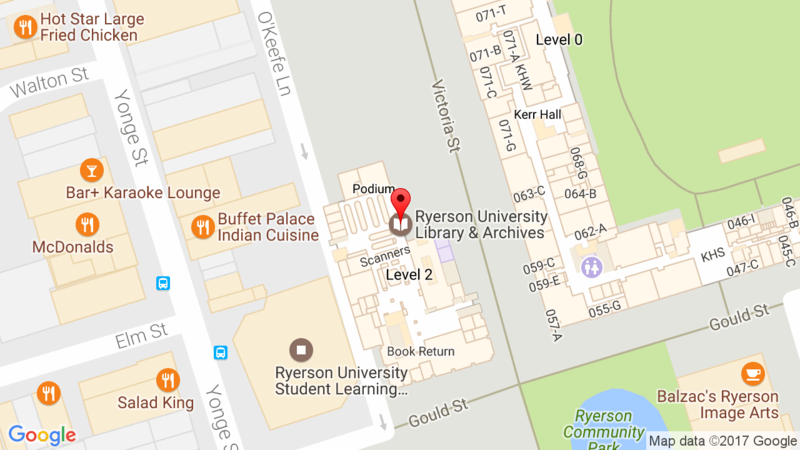 After a review of the declining usage and administrative costs of the program, University of Toronto Libraries recently informed RULA that the current stack pass agreement with Ryerson will cease on August 31, 2016. Ryerson graduate students can still get a stack access card until the end of August, which will be valid until September 30, 2016. To register for the card, visit the Reader Registration Desk on the first floor of the Robarts Library. You will be required to show your Ryerson University ID, and you will not be charged for this pass, which typically costs $50 per year. If there is an item that you require for your research, we recommend that you check Ryerson’s holdings first. If the item is not available, we encourage you to contact your subject librarian to suggest the item’s inclusion in Ryerson’s collection. This is the best way to invest in building a collection that reflects the research needs of our university. You can also request the item for free through RULA’s InterLibrary Loan Service, which provides access to other university library collections, including University of Toronto Libraries. If you have any questions, please contact your subject librarian for further clarification.